Front yard curb appeal can make a great first impression because the first thing visitors or potential homebuyers see when they visit you is the outside of your home. 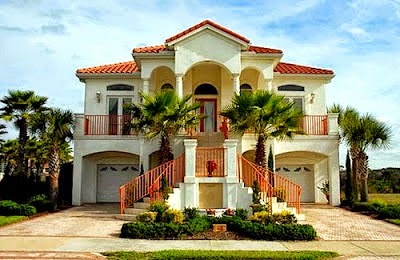 Curb appeal should be neat, organized, colorful, and attractive. Use a color scheme that compliments your home’s indoor color scheme. Clean the siding or the brick of your home if needed. Repair any bricks that have lost their mortar. Complete any repairs required to windows, siding, fences, roof, garage doors, or the driveway. Clean, repair and repaint your front door if needed. Replace the front door hardware if it is outdated. Replace your mailbox, house number, and exterior lighting if they look outdated, rusted, or damaged. Select the same color scheme and the same materials for the mailbox, house number, outdoor lighting, and front door hardware for a harmonized look. Make the entrance to your home more welcoming by adding appropriate seasonal plants. 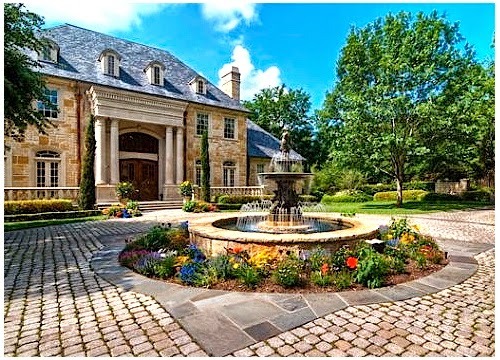 Create a focal point for your front yard such as a garden fountain, pond, flower arrangement, or sculpture. They make good focal points in a landscape design. Water your lawn and plants regularly. Your front lawn should look alive and healthy. Remove any weeds and re-seed your lawn where required. Make sure the lawn is cut regularly and the leaves are raked. 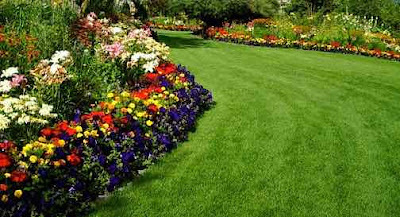 Proper lawn maintenance is important for a healthy green lawn. Remove unwanted plants growing between bricks or concrete to keep driveways, walking paths, and sidewalks looking clean. Add mulch, shrubs, plants, and flowers (perennial and annual) of varying colors and types to your front yard landscape to provide visual interest throughout the year. Trim plants, shrubs and trees for a clean look and for healthy plant growth. 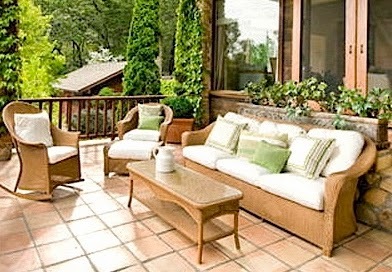 Choose outdoor furniture that matches the interior design style of your home. Metal and glass furniture goes well with contemporary style homes. Iron, wicker, and wood furniture goes well with traditional style homes. Add outdoor lights to set the mood, to provide safety at night, and to enhance your front yard design. Straighten or replace gutters and downspouts. Keep garbage cans, compost containers and recycling bins hidden. Front yard landscaping and outdoor design will increase the curb appeal of your home. Use the principles and the elements of landscape design in addition to the tips in this article to create an aesthetically pleasing front yard space and to add value to your home.